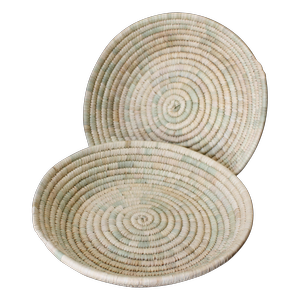 Every handmade woven platter or placemat is unique. 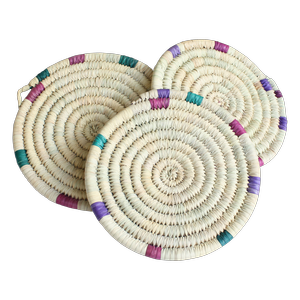 The are made of palm leaves in traditional Moroccan colours. They are very strong and are extremely useful as bread baskets, fruit platters, display platters and for everyday storage like a place to drop your keys and glasses in! A natural, sustainable item to use in your home.